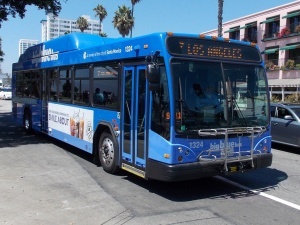 Big Blue Bus provides local transit service in the City of Santa Monica. It also serves the west side of Los Angeles including Westwood, UCLA, and the LAX area. Many routes connect with Expo Line and a single express route serves Downtown Los Angeles.